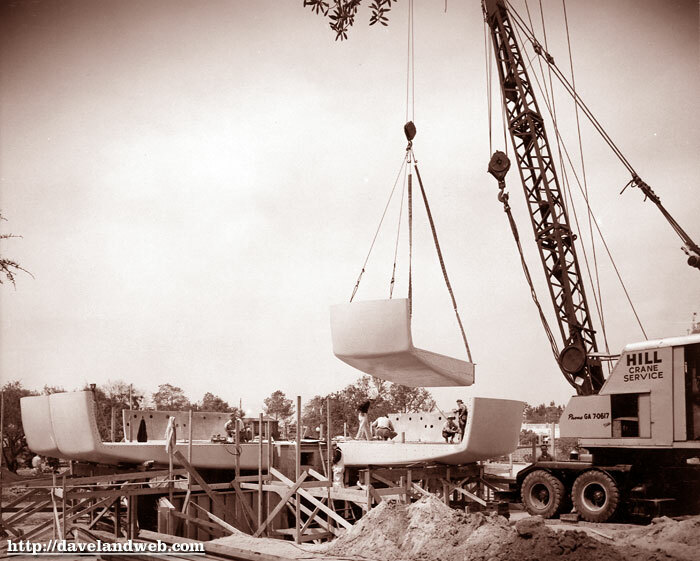 Today’s post shows 2 more photos from Goody Clancy; the first is of the construction of the Monsanto Home of the Future, the second is the final product. Behind it, the park looks practically barren since the Matterhorn had yet to be completed. Wondering where you got those images -- you should credit them. Anyway, it's a great project. 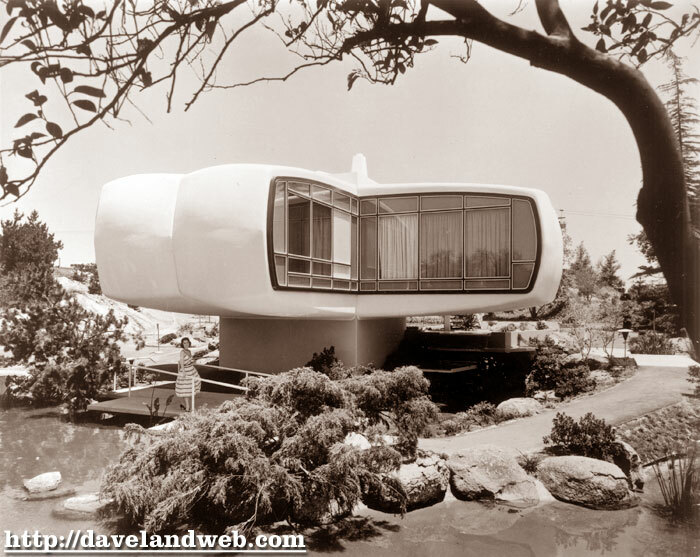 It's officially know as the Monsanto House of the Future, and the architect was Marvin Goody. Wow, you never know who is looking at your blog! Nice construction shots! It is fascinating to see how this was sectioned. Goody Clancy were nice enough to send me some shots after I drew this building in SketchUp, these were certainly NOT among the shots. They are so cool! Can't get enough of the HotF. Thanks Dave. Rosemary - Nice to get a comment from you, but in both of my HOTF entries, I do credit who I received them from: The Goody Clancy firm. And although it is "officially" known as the Monsanto House of the Future, as I have said in one of my previous blog entries, the signage at Disneyland calls it "Home of the Future". Hope you are doing well at Gensler.